Our fashion blog knows that Armani Exchange is a brand that has outlived trends. This stylish label falls under the famous Giorgio Armani brand. Giorgio Armani is an Italian fashion house that designs a wide variety of haute couture and ready-to-wear looks. People look to the label for everything from jewelry and watches to shoes and leather goods. It is the brand’s eyewear collection that has really been turning heads in recent years. Have you ever wished that you owned glasses that could make people envious and turn heads while you’re walking down the street? Slipping Armani frames over your eyes may help you transform your everyday look into something a bit more polished. It turns out that a dash of Armani is all you need to bring a touch of class to your vibe. Discover why this label is so beloved and treasured by stylish people from every corner of the globe. The Armani brand was founded in 1975 in Milan, Italy. It instantly tapped into the craving for sophisticated, stunning merchandise that reflected the beauty of the styles of Milan, Paris, New York and other cities around the globe. The brand initially gained popularity for its accessories and leather goods. It was in more recent years that the brand began releasing collections of designer glasses each season. 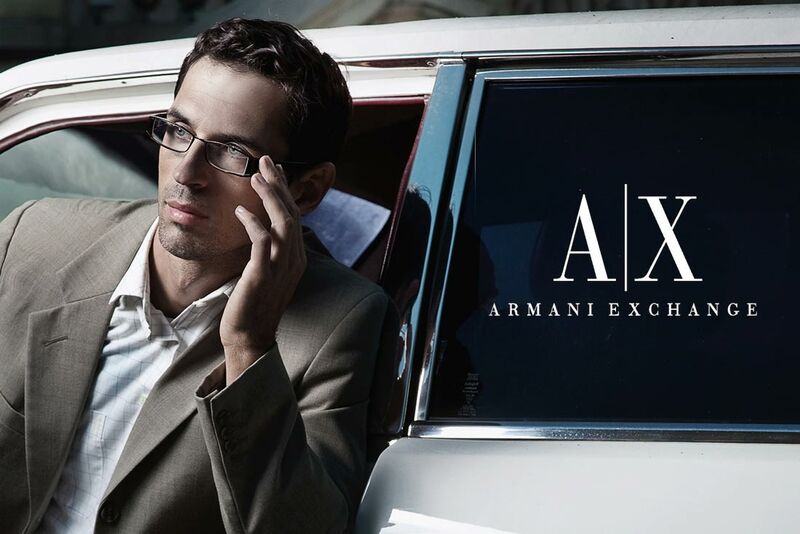 Armani Exchange glasses are celebrated around the world for delivering the European elegance that made people fall in love with the label decades ago. Some brands are able to tap into something so classic and timeless that you never have to worry about them going out of style. 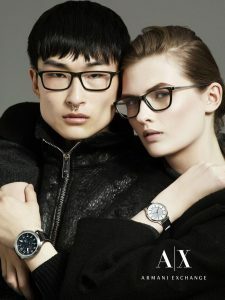 Armani Exchange has managed to create elegant frames, trendy glasses and hipster glasses that tell tales of beauty and sophistication. There is something extremely satisfying about catching a glimpse of your reflection in the mirror when you’re wearing Armani shades. Very few brands are able to create designs that rival the elegant prescription glasses offered by Armani. Who Loves to Wear Armani? Armani is one of those brands that one might assume is reserved for the rich and famous people of the world. However, you might be surprised to learn that you don’t have to have access to the best boutiques in Europe to snag some trendy glasses from the Armani label. The brand has actually made its line of designer glasses available to people everywhere. An Armani design is a particularly solid choice if you’re looking for prescription glasses that are durable and attractive. Armani has mastered the art of releasing collections that offer a little something for everyone. You’ll discover many square and rectangular frames that bring intelligent, studious features to the table. In addition, there are many round and oval designs that combine sophistication and sportiness. The great thing about Armani Exchange glasses is that you never have to compromise when you pick a design from the label. You can truly go in any direction. There are simply some eyewear brands that Hollywood’s stylish stars reach for whenever they need some cool shades to wear while heading to Aspen for a weekend or walking the red carpet at a major Hollywood event. Katie Holmes has been spotted in gorgeous hipster glasses from the brand more than once. Ricky Martin is another star who loves to look good in Armani at both public and private events. It doesn’t get much cooler than Armani when it comes to sleek designs and streamlined looks. The styles offered by the brand are treasured for bringing the right balance of strength and fragility to the table. This is the brand to choose if you love mixing strong lines with subtle features to create an eyewear look that is substantial enough to be the appropriate finishing touch to any outfit. You’ll definitely enjoy searching through the many intelligent designs that are offered by the label as you search for a look that meets your needs. 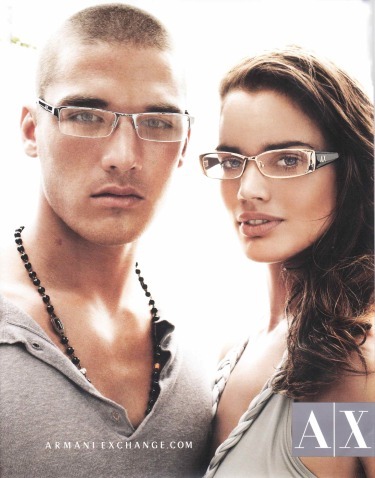 Of course, the thing that truly separates Armani Exchange glasses from all competitors is quality. The label is focused on providing impeccable craftsmanship when designing and creating styles. Share with us and our thousands of readers in the comment sections below of your favorite Armani Exchange glasses and tell us the story of how you found them and what inspired you! This entry was posted in Armani Exchange Glasses and tagged Armani Exchange Glasses, cool glasses, designer glasses, fashion blog, Glasses, glasses styles, Prescription Glasses Online, spectacles, Trendy Glasses. Bookmark the permalink.